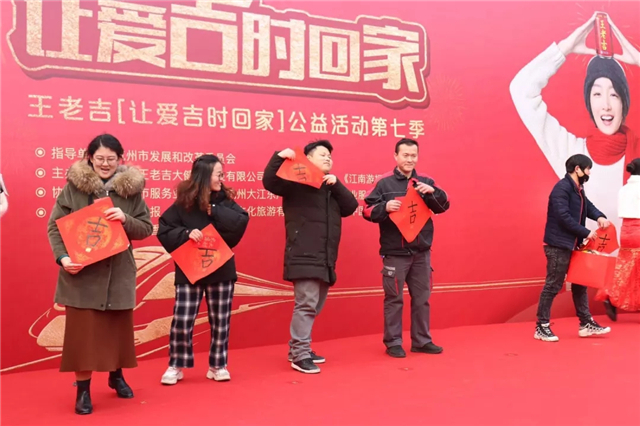 On January 30th, Wanglaoji’s public benefit activity during the Spring Festival travel rush was reported by CCTV-13, the news channel of China Central Television (CCTV) and the biggest news channel in Chinese mainland. 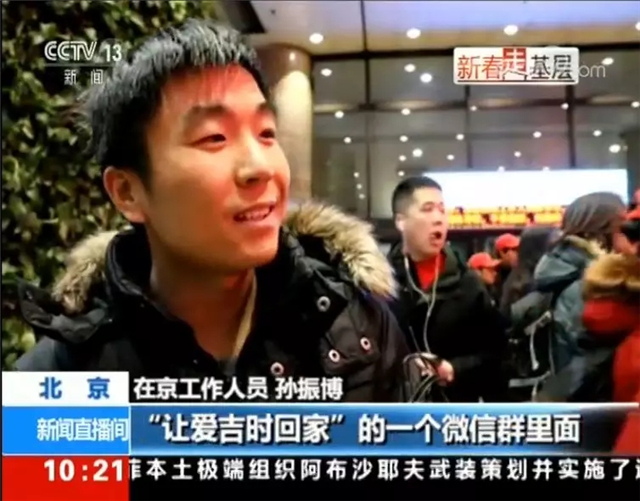 A screenshot of the news on CCTV-13. 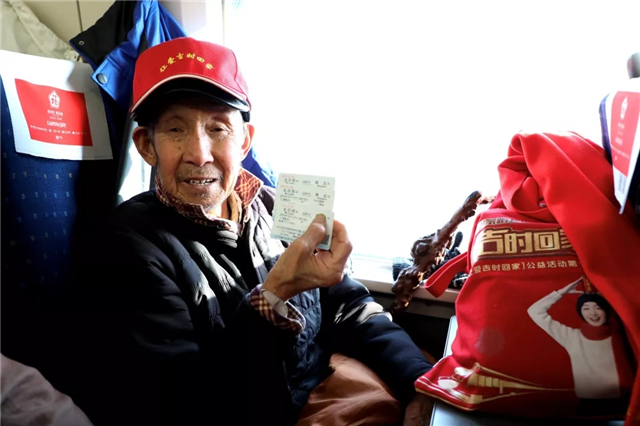 This year, GPHL’s Wanglaoji has provided free high-speed rail tickets to over one thousand people, helping them return home for the Spring Festival safe and sound. 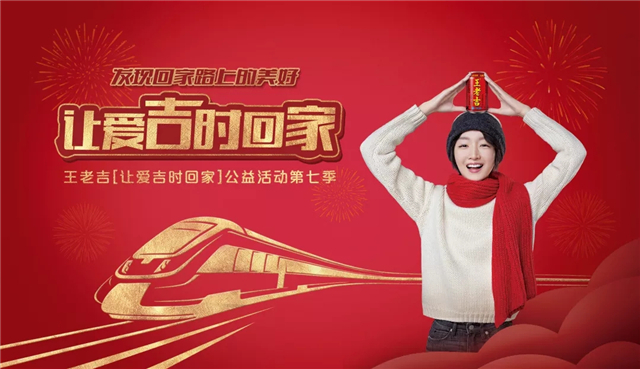 In addition to high-speed rail tickets, Wanglaoji also offered toys for children, new year gift bags for every passenger including scarves for them to keep warm on the train. 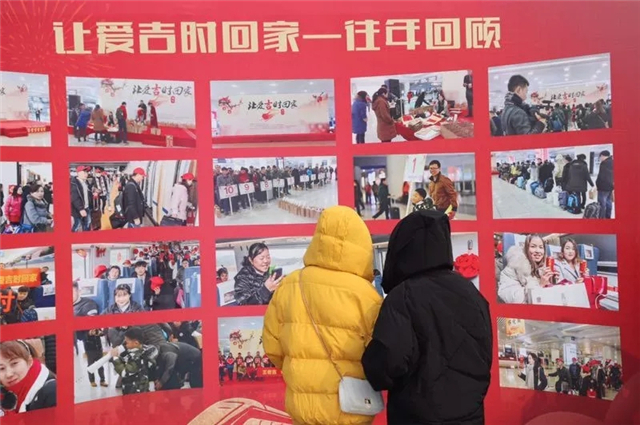 Since it was launched in 2013, Wanglaoji’s annual public benefit activity during the Spring Festival travel rush has benefited more than 10 thousand people who are mainly migrant workers and students. 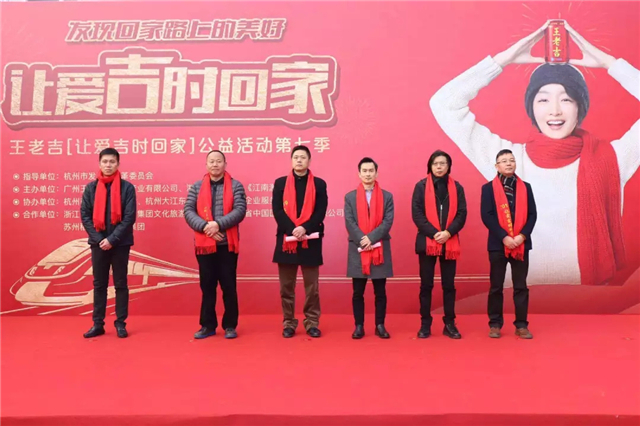 Apart from CCTV news, many other media have covered the campaign, such as People’s Daily Online, Beijing Evening News and Zhejiang TV. A poster of Wanglaoji’s campaign. 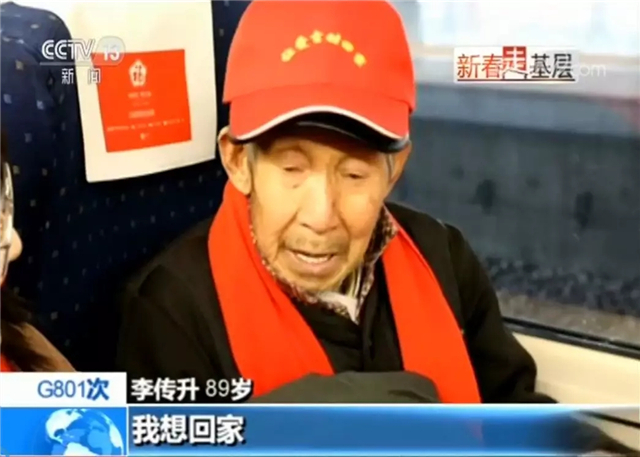 In the future, Wanglaoji will keep running this campaign to help more people get home for family reunion during the Spring Festival travel rush. 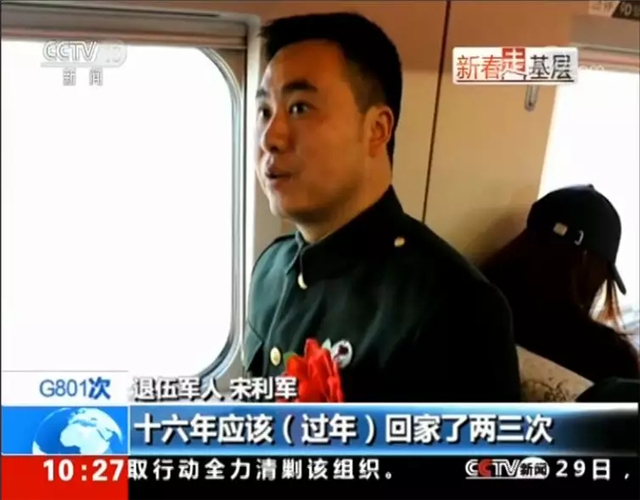 A ceremony is held to send out tickets to the passengers. 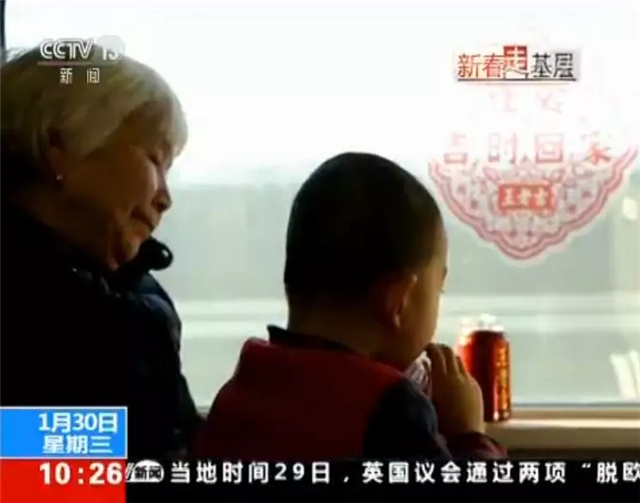 Two people view the photos of Wanglaoji’s previous public benefit activities. 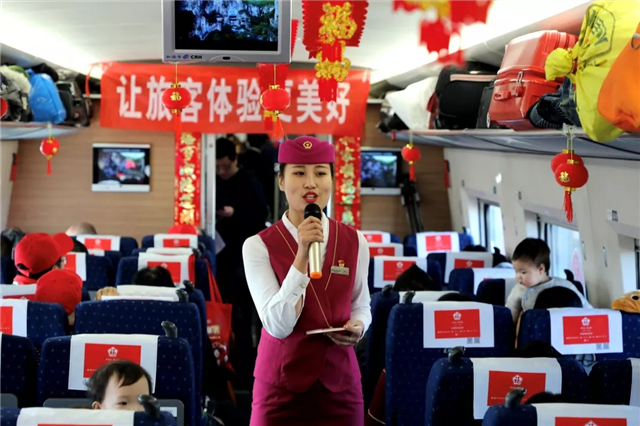 A stewardess sings for the passengers on the train. 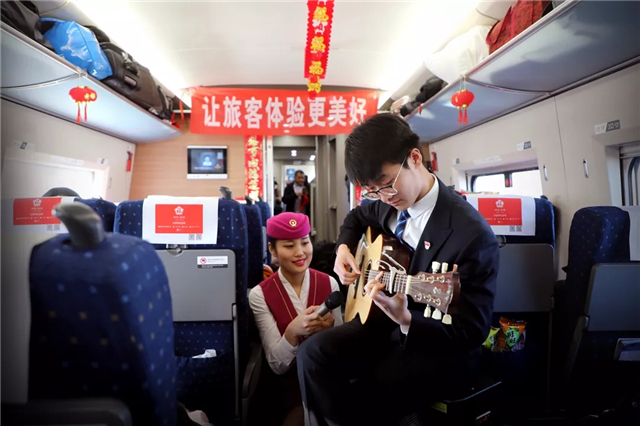 A young man plays the guitar on the train. An old man says he is very pleased to participate in this activity.